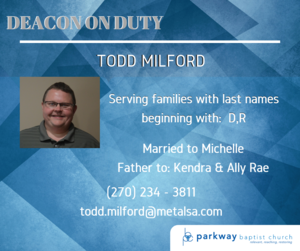 Our deacons are here to serve you! 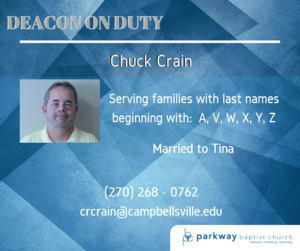 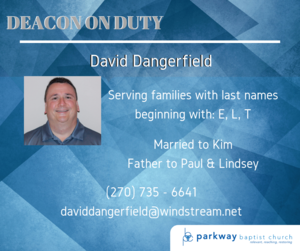 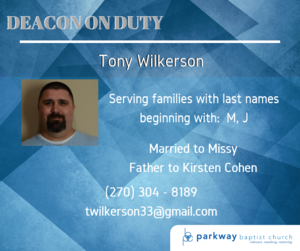 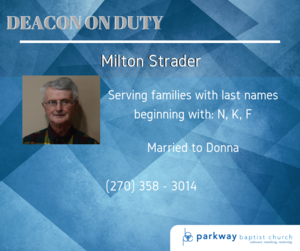 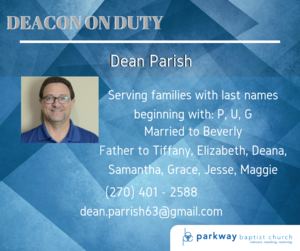 Please take a moment to connect to your family deacon by introducing yourself and providing your contact information. 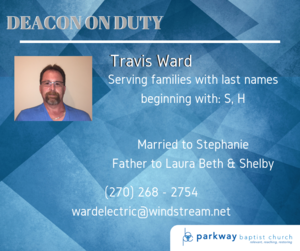 The deacons would genuinely like to connect with you so we can encourage you and serve you.